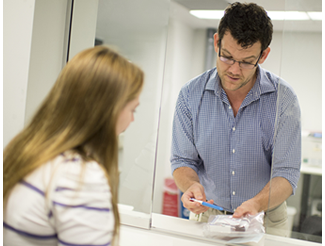 Use of medicines is one of the most common therapeutic interventions in Australian hospitals. It is also one of the most complex, with delivery of each dose of medicine involving as many as 30 steps and almost as many people. Because they are so commonly used, medicines are associated with a higher incidence of errorsand adverse events than other healthcare interventions. Medication incidents have been estimated to cost the Australian health care system more than $660 million per year and represent 27% of all clinical incidents occurring in Australian hospitals , . In NSW, medication and intravenous fluid related incidents are the second most frequently reported incident type, with a significant number of these incidents resulting in patient harm . The Medication Safety and Quality unit supports the safe and quality use of medicines by identifying and addressing emerging medication safety risks. Continuity of Medication Management, High-Risk Medicines, Medication Safety Self Assessment (MSSA) and VTE Prevention are Medication Safety and Quality programs that assist health care teams to work together and improve their local medicines-use systems. The Continuity of Medication Management program provides tools and resources to support medication reconciliation - the process of ensuring that patients receive all intended medicines and that accurate, current and comprehensive medicine information follows them at alltransfers of care. The High-Risk Medicines program aims to heighten awareness of the harm that can be caused and provide action-oriented information that will assist in improvements to the management of high-risk medicines in hospitals in NSW. The Medication Safety Self Assessment (MSSA) and associated tools were designed to facilitate evaluation of systems and processes related to medicines use and highlight opportunities for improvement. The CEC has adapted these for Australian hospitals. The VTE Prevention program assists health care facilities and clinical teams to implement robust processes for the prevention of hospital-associated venous thromboembolism (VTE). It provides clinicians and health professionals with the tools and resources required to address this patient safety issue. For further information on this program please contact the Medication Safety team. Each program provides tools and resources to make medicine use safer and to assist health services meet the requirements of the National Safety and Quality Health Service Standard 4 - Medication Safety. Pharmacy Barcode Scanning - barcode scanning has been shown to reduce the rate of pharmacy dispensing errors. Tall Man Lettering - uses a combination of lower and upper case letters to highlight the differences between look-alike medicine names, helping to make them more easily distinguishable. Revisions to the National Inpatient Medication Chart - the NIMC is a fundamental element in patient safety. This project highlights recent revisions to the chart. User-Applied Labelling - provides information and links on the requirements for user-applied labelling in NSW Public Health Organisations and NSW Ambulance. Roughead, E., & Semple, S. Medication safety in acute care in Australia: where are we now? Part 1: a review of the extent and causes of medication problems 2002-2008. Australia and New Zealand Health Policy. 2009: 6(1):18. Runciman, W., Roughead,E., Semple, S., & Adams, R. Adverse drug events and medication errors in Australia. International Journal for Quality in Health Care. 2003; 15(suppl 1): i49-i59. Clinical Excellence Commission. Clinical Incident Management in the NSW Public Health System 2009: July to December.2011. Sydney: Clinical Excellence Commission.